Millions of people live with chronic pain, ranging from mild to extreme. If you struggle with pain on a daily basis, you know how exasperating and truly painful life can be. You may feel like you’ve tried everything to get rid of the pain you are experiencing and when it doesn’t go away, you feel frustrated and at times, hopeless. After a while, the pain begins to not only take a physical toll on your body, but an emotional one as well. Chronic use of painkillers can be hard on your stomach and other organs, so trying to find natural pain relief methods is important. Here are some natural pain relief products that can help decrease your use of pain medications and ease the everyday aches and pains that you may be experiencing. 1) Pain Gone Pen: Devices like the Pain Gone Pen are TENS therapy devices that are small, easily portable, and effective in eliminating pain quickly. This device creates its own electric charge and is used by pressing a button on the top. When pressed, a gentle, low frequency charge is emitted and can be applied directly to the area that is hurting. This device can be used at any time and there are no dosage limits. You can use it as many times as you need to help rid yourself of pain! 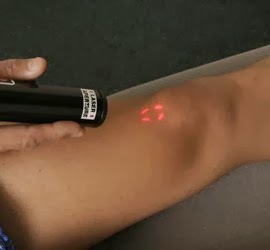 2) Pain relief laser: This type of laser device is a great way to manage pain without harmful drugs or side effects. The laser offers a pain free option to stimulating the body’s natural healing process by promoting inter-cellular radiation. 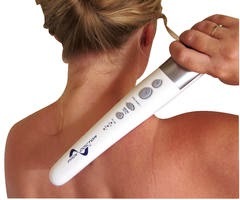 When the laser reaches the tissue that is not functioning correctly, enzymes inside are then activated and a domino-effect occurs, which simultaneously relieves pain and promotes natural healing. These devices are cost effective and small enough to carry with you in a purse, briefcase, or even a pocket. 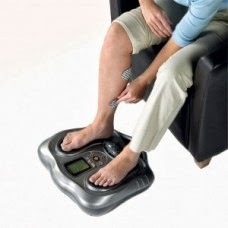 3) Electroflex circulation maxx: This electrical stimulator has been used for legs and feet for many years and offers a unique combination of Far Infra Red Heat Therapy and TENS therapy, making it a great option for people living with pain in ankles, feet, and lower legs. When these parts of your body have been inactive for long periods of time, you will see a decrease in blood circulation function, which can cause pain and aches. The device uses foot pads and electric waveforms to stimulate nerves in the soles of the feet, which is a gentle way to stimulate and revive feet and muscles that are hurting. If these types of devices do not control the pain you’re experiencing, you should consult your doctor for better health tips. There are a lot of hands-on types of therapy such as chiropractic care, mind-body techniques, spinal injections, acupuncture, or other pain clinics that can help get your pain under control. And if your doctor determines that surgery is necessary, then that may be what you need to do to rectify the issue in your body, even if it is a last resort. Each day you should feel energized, pain-free, and ready to tackle the day’s obstacles. Pain just gets in the way, zapping whatever creative energy you might have. It can decrease your productivity and cause for mistakes and/or frustrations on the job or at home. So instead of reaching for the bottle of pain relievers next time you’re hurting, start searching for a natural way to treat your pain. Taking a proactive approach to your health is vital to living a pain-free life! All of these products can be found at Tower Health, a natural health product provider.